“LimeBike is not just a tech mobility company. We are a people and relationships company first and foremost. And we’re committed to building with our LimeBike community.” This from the “about us” section on their web page. I heard about LimeBike and first saw one on in San Francisco. Next I saw them in Alameda and my 16 year old daughter says that her classmates use them at lunch to get from campus to outside food quickly. So I downloaded the app and rode for the first time on 10/15/17. My first ride was .97 miles and took 11 minutes. My second ride was .78 miles and took 10 minutes. My third ride was 1.30 miles and took 13 minutes. Info conveniently located and stored in my ride history in my app. I am familiar with bike sharing/rentals. I joined Bay Area Bike Share years ago and am a legacy member of Ford GoBike. I have also ridden a bike share in Minneapolis and tried to in Sweden but it was winter and it wasn’t in operation. 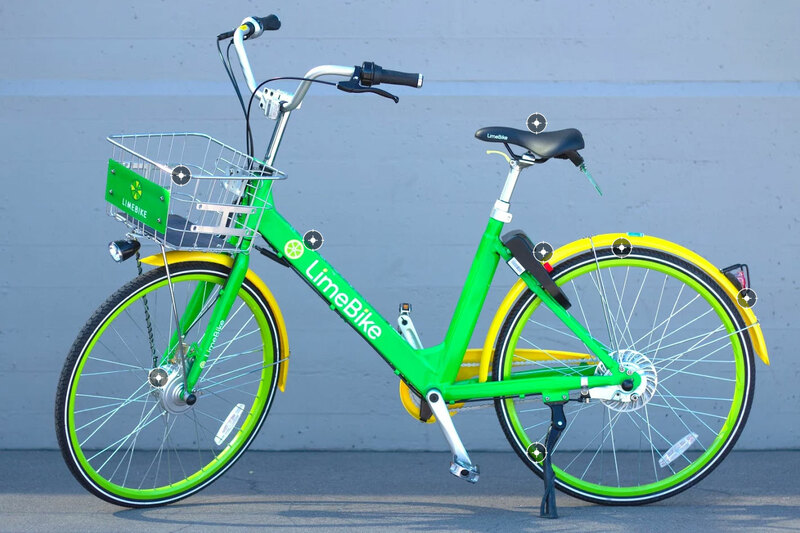 So, how is LimeBike different? It’s dockless and you can leave it anywhere it is legal to park a bike. You simply locate through the app, unlock with the app by either scanning a QR code (there is even a flashlight for night viewing of the code) or inputting the numbers, adjust the seat and ride. To return you simply park and press the red lever which locks the back wheel. The first ride is free and subsequent rides are $1. If you use my referral code R5JCE4H you can get 3 free rides. You can ride for 30 minutes or less, there is a charge if you use it for more than 30 minutes. So, good for quick errands. The first time I used, it worked like a dream, I easily located a LimeBike .09 miles from where I was and unlocked it and rode. I easily locked it when I reached my destination. My return ride, I easily found another bike but was unable to unlock it and got an error message. I returned to the first bike, unlocked it and rode it and parked directly in front of my destination. The third time I tried to use it I found one bike, could not unlock, and then could not find two other bikes marked in the the app, so I ended up taking an Uber. I reported it to customer service. I did see folks riding LimeBikes so I assume that there was a lag in the GPS. I did easily find a bike on my return for the third ride. The dockless system reminds me of GIG Carshare where you can park the car anywhere in the homezone unlike Zip where you have to return to the location you rented it from. Helmets are not provided. The basket is spacious. There are only 3 gears and you can shift only when not pedaling. Check out LimeShare, use my referral code and let me know what you think. Happy riding.